What is Online Quality Management? Online Online Quality Management Software (QMS) enables manufacturers to eliminate paper processes and increase manufacturing efficiency, whilst continuing to safely deliver high quality products at the best possible cost. QMS solutions reach each stage of a product’s development lifecycle and cater to the needs of specific departments and industries. 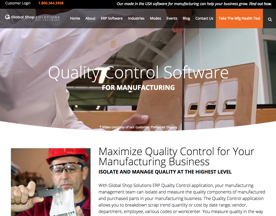 If you’re looking for online software similar to Online Quality Management Software, consider our Product Lifecycle Management Software category. 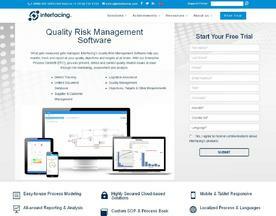 Interfacing’s Quality Risk Management tool tracks and reports on quality objectives and targets at all levels. With DBTS, you can prevent, detect and correct quality related issues through all-around risk monitoring, assessment and analysis at ease.